I got VIP invitation by Lovers Lane Church – for this special silent dinner and presentation. I get opportunity to see George P. Bush (Resident in Dallas; Florida Governor Jeb Bush’s Son) – he gave nice presentation about his grandfather signed ADA law and etc. It was short presentation from him. He looks a lot like his father. Also, I had opportunity to watch Charl De Villers’ presentation – he is well known for his famous “World First Deaf Solo Rode Sailboat around the World”. I knew about him for some time but did not know whole story till I watched him today. He gave very nice multimedia presentation – powerpoint, video with caption, photographs, etc. I also brought his DVD for $10 bucks. It should be good stuff. Basically he’s not just deaf himself but he is also fire victim (About 75%) when he was little boy. This is perhaps why he becomes deaf and he had to study oral speech in South Africa. (His home) He apparently never learns sign language or seems did not learn at all even today at church. 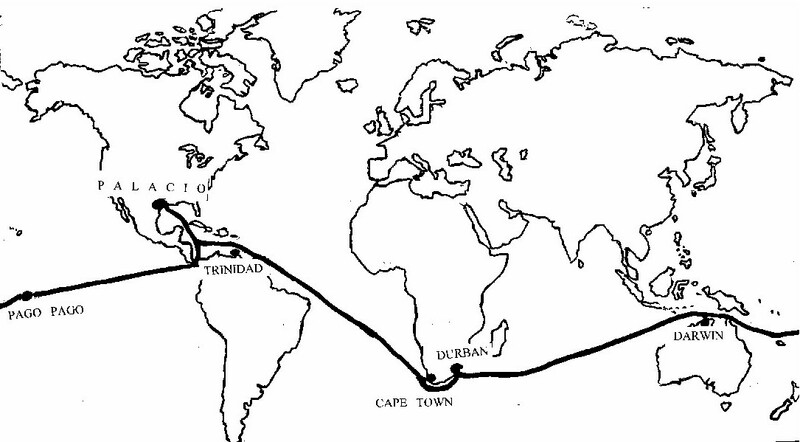 He illustrated how he survived his solo sailboat around the world where he can’t hear anything at all. I don’t know why Charl De Villers is not on Wikipedia list. He should be on list. I want to thank Tom Hudspeth for personally invite me and recognize me during the presentation just because I run Deaf Network of Texas newsletter. Thanks! Anyone plan to challenge Charl De Villers? Why not? To read flyer: click here & to view pictures online: click here. To view video from my server: click here or go to youtube account: click here. I want to introduce our newest website called DeafJoke.TV where we will collect deaf-related stuff. This way you don’t have to look around for one or wait for your friend to forward to your inbox. Sorry, we will not post R-rated stuff. We do offer email sign-up where you will get email every time we posted new one. Of course you can add it to your RSS Reader if you like. It is powered by WordPress. If you want to post your stuff, please email us at info@deafjoke.tv and we will get back to you ASAP. It is not required to used Google Video or YouTube, we can support pretty much anything you have to offer us. Also, if you need help how to upload video or need additional information, let us know! In long run, we will try and add more features such as rate it for each post. If you have any suggestion, let us know! Basically, we all could use some good laugh. Don’t you agree? Finally, I want to thank my cousin Patricia Germundson for helping out with this exciting website.